Noticing so many bees around the farm, and hearing of the worldwide colony collapse crisis, I was moved to pay homage to the culinary heroes of the insect world. 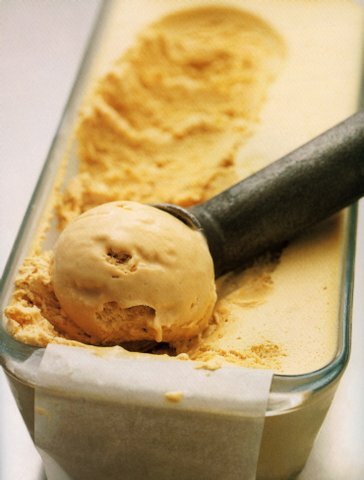 This is a no-churn ice cream, making it very doable. Combine the brown sugar, honey and water in a small saucepan, and bring to the boil over high heat. Reduce the heat slightly and boil for 5 minutes. Beat the eggs with an electric mixer until fluffy. Pour the boiling syrup slowly, in a thin stream, into the beaten eggs, and continue beating until cold. Add the vanilla and then stir through the whipped cream until well mixed. Pour the mixture into a lined loaf tin, cover and freeze overnight.